Denny faced a tough day at Kansas, one that would ultimately be determined by missed fuel mileage strategy that led the #11 FedEx Freight Camry to a 13th place finish. Denny went back and forth all day in the standings as teams altered on pit strategy. 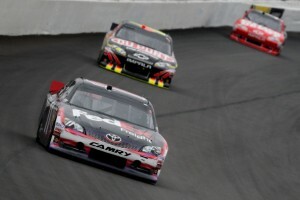 Denny was solidly in the top 5 towards the mid point of the race and looked like he would bring home a solid championship worthy finish far ahead of Brad Keselowski and Jimmy Johnson. Unfortunately an attempt at staying on top of fuel strategy by Darian Grubb would come back to bite the #11 team. After multiple late cautions in the race, the team decided not to pit during any of them. The team went onto pit during the green which put them a lap down. A caution came out 4 laps later after pitting. This forced Denny Hamlin and his team to take the wave around which put him back around 25th position. 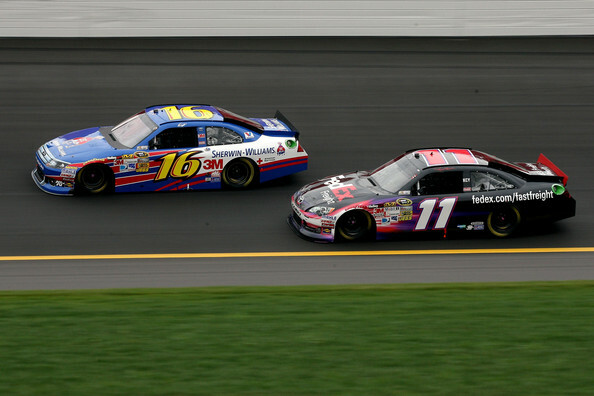 Denny fought back to a 13th place finish in the end while Brad Keselowski finished 8th and Jimmie Johnson finished 9th. Denny is now 20 points back in the championship standings as he heads to some of his best tracks that he has consistantly been fast on; Martinsville, Texas, Phoenix, and Homestead.